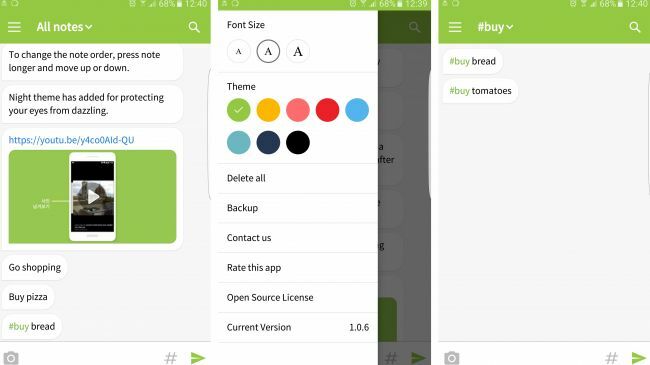 Pickle is about as simple as a note-taking app gets, and that’s the beauty of it. You don’t have multiple lists or folders, just one long note, laid out like an SMS conversation, with each new addition getting its own text bubble. Eventually, of course, you’ll end up with far more notes here than you can easily skim through, but you can search for keywords, or add hashtags and then choose to view only the notes with those tags. You can add photos and links, as well as text, edit or delete notes with a swipe, and change the font size and background color, but that’s about it. It won’t replace Evernote for power users, but if you just want a simple note taker without the clutter, Pickle is it. Be aware though that after a 7-day free trial it costs $0.99/69p (roughly AU$1.30) as a one-off IAP.